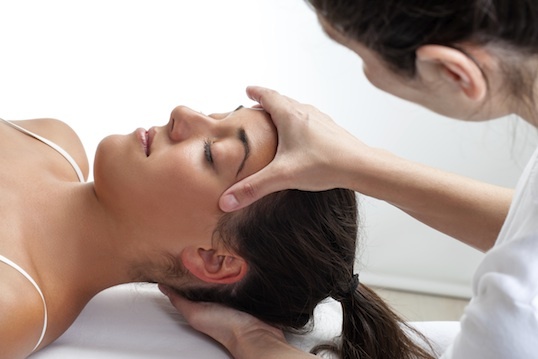 Osteopathy can help reduce the pain of headaches. 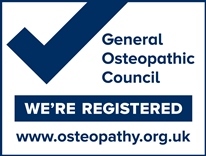 For most people when they have a headache, they will reach for the paracetamol or ibuprofen (1) to help with the pain but a better answer for many could be to visit an osteopath. Osteopathy has been proven to help headaches that arise from the neck (cervicogenic headaches) and migraines. We focus on finding the underlying cause of these types of headaches and then offer treatment and advice that will keep them away for good. Cervicogenic headaches are headaches that actually arise from the neck rather than the head itself, with the pain felt in the forehead, temples, back of the head or all of the above! Often this comes from compression of the joints of the neck. Different parts of your neck refer pain to different parts of your head. For example, if you’re stiff at the base of your neck, near your shoulders, this could cause pain at the back of your head whilst stiffness at the top of your neck, could appear as forehead pain or pain around the eyes. As part of your first appointment, we’ll ask lots of questions to help build a picture of why you’re in pain now and work out what needs to be done. 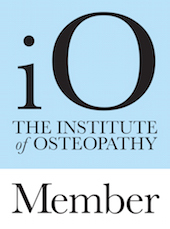 As osteopaths, we’re focussed on finding the cause of your pain, rather than just treating the symptoms. Osteopathic treatment of the tight muscles and manipulation of the joints of the neck, thorax and back can relieve the build-up of muscular tension that may lead to cervicogenic headaches or migraines. We can also advise on exercise, posture and lifestyle changes which may help to keep this pain at bay for good. That’s got to be a better solution than just reaching for the painkillers! Simply send us an email to info@mooreosteopathy.co.uk or give us a call on 0115 981 5134 to have a chat about how we could help you get rid of the cause of the headaches, rather than just treating the symptoms.